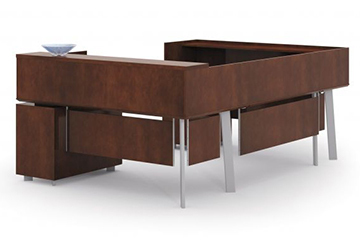 Deco Designs is a full service office furniture company. We provide new and refurbished office furniture and used office cubicles. Let us know your needs, and we will design your dream office furniture environment. Deco Designs sells a wide variety of office and executive desks, office chairs, ergonomic products and filing systems to fit every office furniture need. Deco Designs is your office cubicle and partition installation expert. Deco Designs’ staff has years of experience—in teardowns, reconfigures and installations of all major office cubicle brands. Herman Miller is our specialty. 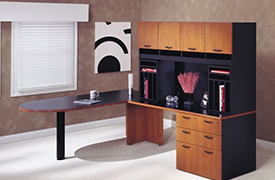 We are a full-service dealership specializing in all types of furniture and office cubicles. You specify the brand, and we find office furniture and cubicles—new, used or remanufactured. 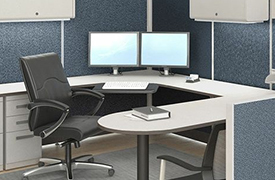 We are an authorized office cubicle dealer for Friant Systems 2 and Tiles products. We space design your office from concept to completion using office furniture industry specific software. We have over 30 years’ experience in the partition and office furniture industry. We can warehouse your excess office furniture. We can assist with office moves, project management and the planning of your relocation. We are office furniture liquidators. 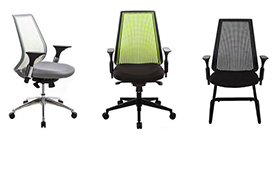 We offer budget assistance for executive ergonomic chairs and other freestanding office furniture.